The New Tucson with more rugged looks and a new engine range is sure to impress. Here at Berkeley Vale in Thornbury, Gloucestershire we now have both the Automatic and Manual variants available showroom to test drive. The New Tucson presents a longer, lower and wider frame than the ix35, measuring 4475mm and 1850mm in width and with a 2670mm wheelbase. A wide grille featuring three thick, horizontal chrome bars, accentuates the imposing look of the long bonnet, narrow headlights and high window line. All-New Tucson has been designed to make every mile a pleasure. Whether you’re popping to the shops or taking a long trip across country, you’ll enjoy an incredibly responsive and rewarding drive anywhere you’re headed. With a range of capable engines, plus the option of 2WD or torque on demand 4WD, you can choose the All-New Tucson that best fits with your life.A smart and well-built interior will be able to seat five occupants in exquisite comfort. The supportive seats are heated and ventilated, and loadspace of 513 litres is available even with all of them in place. 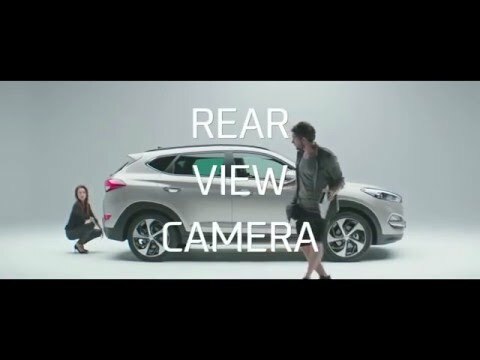 A powered tailgate, parking assistance sensors and a new, quicker navigation system are just some of the useful technological features available on the new Tucson. Simply fill in the enquiry form above to register your interest - the helpful sales team at the Berkeley Vale Hyundai dealership near Bristol will then be able to provide further information about the new Tucson, or alternatively book a test drive now ! Choose between manual 6-speed, automatic 6-speed and automatic 7-speed Dual Clutch Transmissions (DCT)*.  DCT works like two separate manual transmissions inside one casing, each being connected to the engine through its own clutch. Odd numbered gears are operated by one clutch and even numbered gears operated by the other, enabling rapid gear changes. Compared with conventional automatic transmissions, DCT brings improvements in fuel efficiency, CO2 emissions and acceleration performance. Simply fill in the online enquiry form and the helpful sales team at Berkeley Vale will then be able to provide further information about the new Tucson, or alternatively book a test drive at our Thornbury, Gloucestershire showroom today.